The configurator offers a convenient and easy way to generate intercoolers for your intended use. If you have any questions please use the contact. Our sales team will be happy to advise you! 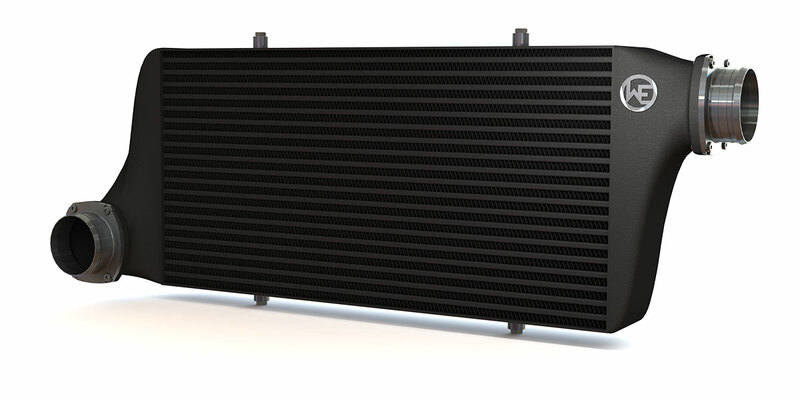 Depending on the installation space conditions, in the first step you will choose a suitable intercooler core consisting of 9 different core sizes. In the second step, you determine the connection diameters for the inlet and outlet of the intercooler (customer-specific designs can be realized on request). On the next page you will find various aluminum casting endtanks with different connection positions available (input and output). In addition, you can choose between the core structure "Performance" and "Competition". The last page shows the intercooler you have configured with all its specifications. Finally, you can decide for an optional coating.